If you need an Auckland based drainage company, a drainlayer in Auckland with the right equipment and specialists, talk to us! 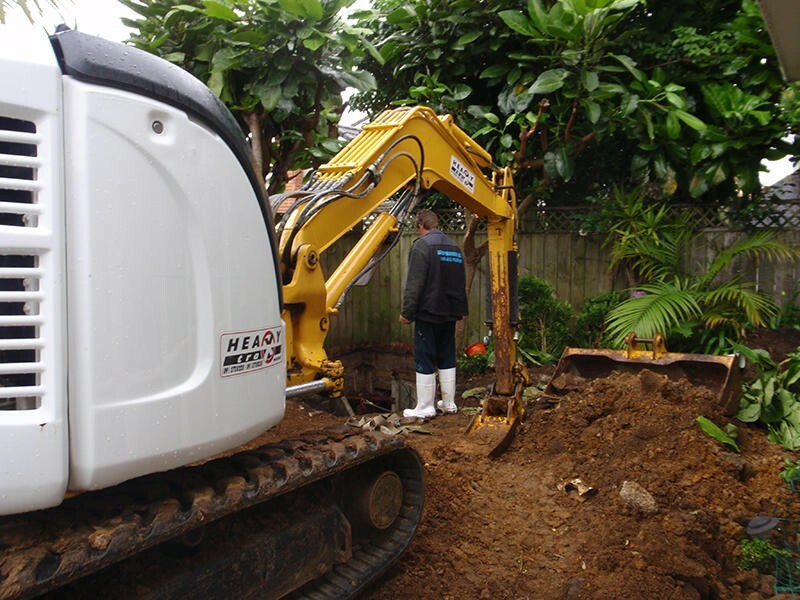 Whether you need drainlaying services and connections for new housing or an extension, if you need to re-lay a drain or entire drainage system, AllGo is the perfect drainage company for projects in Auckland. We have the knowledge, equipment, heavy machinery and trucks required to provide a complete drainlaying service without using sub-contractors. Our Auckland based drainlayers are qualified, certified drain layers and we have skilled digger drivers that aren’t time wasters. The good thing with using Allgo Plumbing & Drainage is our plumbers. We can save you time and stress with fast efficient service because we do both the drainage and the plumbing – saves time and hassle - one contractor to do the complete job. For drainlayers Auckland wide, contact AllGo Plumbing. Having trouble with blocked drains or water leaks? Check out our Drain Unblocking and CCTV Drain Inspection services.